Roger Waters launched his 2017 Us + Them North American tour in Kansas City, MO on May 26, and video from the event has surfaced online. Due June 2, Waters teamed up with producer Nigel Godrich in London and Los Angeles for his first new album of original material in 25 years. Joining the pair on the follow-up to 1992’s “Amused To Death” are Gus Seyffert (bass, guitar, keyboards), Jonathan Wilson (guitar, keyboards), Joey Waronker (drums), Roger Manning (keyboards), Lee Pardini (keyboards), and Lucius (vocals) with Jessica Wolfe and Holly Proctor. 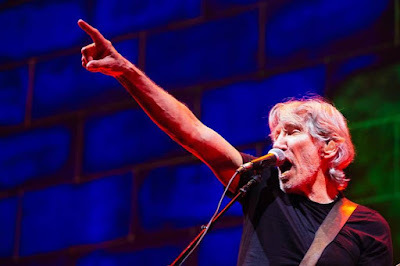 Waters will perform more than 50 dates on the North American trek: the first leg ends in Nashville, TN on August 13 and, following a three-week break, a second leg will begin in Newark, NJ on September 7, with shows wrapping up in Vancouver, BC on October 28.